There are all types of Royals Fan, those who follow the team casually and sing along to “Friends In Low Places”, those who follow more intently and cross-reference each pitch against the MLB Gameday pitch tracker. Then there’s the Super Fan which includes Royalman and Superfan Chris. And then there’s SungWoo Lee. Korean born and raised. And unabashed Royals Fan. SungWoo laughs at the 14 hour difference between Kansas City and Seoul, Korea, SungWoo’s home. He regularly watches games at 9am regularly via MLB.tv. SungWoo rarely gets a vacation and even more rarely gets any time off from the grueling hours that he works, but he rarely misses a Royals game. 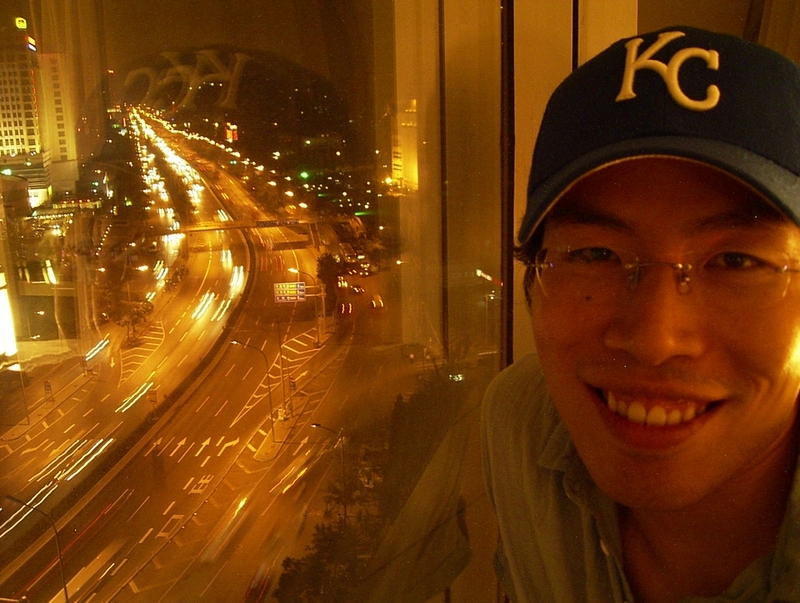 He is an avid (and intellectual) tweeter during games and a must-follow Royals fan at his @KoreanFan_KC Twitter page. And he’s never been to a Royals game in person. 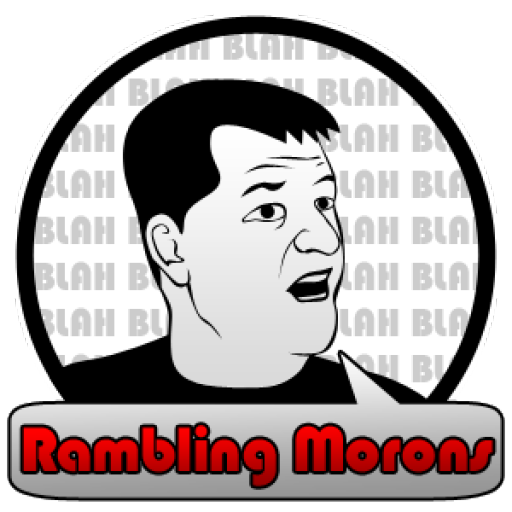 SungWoo is the RamblingMorons 2012 Royals Fan of the Year. We had a chance to chat with SungWoo and get the story behind his fandom. You’ll find that he shares a lot with the common Kansas Citian… he’s a hard worker, he is bright and funny, he eats a Country Breakfast, and he’s a tortured Royals Fan. Oh, and he just wants to see Luke Hochevar released. Here’s my interview conducted via e-mail. I left it in his original English dialect because I think it’s awesome. RamblingMorons: Where in Korea do you live? RM: What is your occupation? RM: How did you get started following and rooting for the Royals? SW: In 90’s, when I was middle school student, I started to watch AFKN (American Forces Korean Network) for my English. But most of Drama, News and even Sesami street were too difficult for me to start learning English. Only sports broadcast was understandable… that’s the very beginning I followed American Pro sports. I became a huge sports fan of MLB, NBA and NFL. RM: What would other typical Koreans be following as far as sports go? Are there any other Korean Royals fans? At that time I knew a few Royals fans thru my site’s guestbook, But I never met other Royals fans in person… But I believe there are some Royals fans in Korea for sure. RM: Have you ever been to a Royals game? RM: You’ve seen some disappointing years as a Royals fan, why do you continue to root for the team? RM: What are a couple of things you’d like to see in the offseason for the team to improve? RM: Who is your favorite player? SW: I love all of Royals players, even mediocre farmhands… so difficult question Actually I never watched Brett, Saberhagen, Splittorf and many legendary players… So my favorites are… Sweeney, Dye, Damon, Beltran, Randa and Greinke!! Of course all 40 men on roster in blue!! RM: What’s the equivalent of a Korean Country Breakfast? SW: Like any other Asian, Korean style “Country Breakfast” is… streamed rice with soup, seasonal vegetables and KIMCHI must!! RM: What’s been the worst moment of your Royals fandom? SW: Well… I’ve taken any bad/worse moments for granted as small market Royals fan… >Worst moment was…. 19-game losing streak? Seeing Greinke let go? Sweeney injury? RM: What’s been the best moment of your Royals fandom? RM: If the Royals make it to the World Series, will you come to Kansas City and get tickets to the series? SW: Whoa! Royals can make it to the World series ever??? Korean work ethic/work circumstance is so notorious… not much vacation Usually Korean has week-long vacation in hot summer season… So I’m not sure I can get a vacation on October (So sad) But If, big If, Royals go to world series, I would try this that one? Thanks… I’m a bit embarrased with too much praise and… my poor English. Hopefully I’d like to know more many Royals fans from now! Your English was great. We need to get you some Royals gear!!! I think you’ve really hit a nerve with folks as to what being a “fan” is all about. Great job! Loved reading this about a fellow Royals fan who understands what it is like to stick with the team in good times and bad! It is loyal fans like you that make me proud to be a Royals fan and to be from the KC area. Keep cheering them on from Korea, one day it will be worth it. Great job on your interview! So thanks for articulating that from afar. If you ever visit KC and happen to stop in Los Angeles, let’s have a drink or some food. I love Korean barbecue, in fact it seems like 1/4 of Los Angeles is Korean…though you probably wouldn’t come to the US for hometown culture. I’m so happy to see this, SungWoo. I’m a KC nativem but I’ve been living in Daegu for 3 years now. It’s quite lonely here not being able to watch the Royals and Chiefs games with other fans and constantly being asked if I’m a Dodgers or Yankess fan by taxi drivers when I mention baseball. It’s a very fascinating story. I recently heard about Mr. Sung Woo Lee through listening to one of NPR program that interviewed him and a gentleman who invited him over. I am from Korea too and I am glad that his lifelong dream came true. What a warm welcome from Kansas city baseball fans! ~ very impressive. Congratulations to you Mr. Lee.